Mr. Huth has earned two law degrees: Juris Doctor (J.D.) 1973, and a Masters of Legal Letters (LL.M.) in Estate Planning 1988, both from the University of Miami Law School. 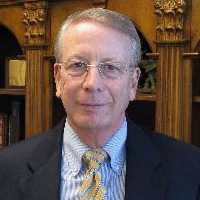 Mr. Huth has practiced law in South Florida for over 30 years. He is a member of the Real Property and Probate Law Section of the Florida Bar Association. In addition to wills, trusts and estates, Mr. Huth handles real estate, corporate and partnership matters. He has appeared locally on radio and television programs involving will, trusts and estates. He has tried over 50 jury trials and over 1,000 bench trials in the Circuit and County Courts of Dade, Broward and Palm Beach Counties and the Federal District Courts of the Southern District of Florida. Mr. Huth has prosecuted and defended over 30 appeals in Florida Appellate Courts including the Supreme Courts of Florida and Indiana. He has prepared over 4,000 trusts and wills and related estate planning documents. Mr. Huth has been selected by The Legal Network as being one of the top attorneys in Florida in both 2013 and 2014.